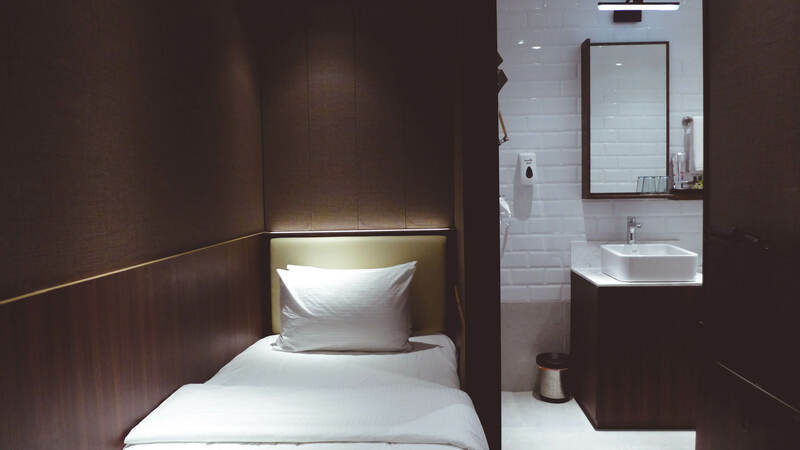 If you need a place to freshen up, take a quick shower, or even a quick nap, head to Aerotel Cebu in Terminal 2 of the Mactan Cebu International Airport. Aerotel Cebu offers travelers comfortable solo and double rooms to rest or refresh themselves by taking a shower. It is open 24 hours daily and people can check in anytime and stay by the hour. SHOWER. Each room has a bathroom that has a hot shower. Coffee, tea and some light snacks are also available in the Aerotel Cebu refreshment counter. Aerotel Cebu is run by the Plaza Premium Group, the pioneer and industry leader in providing airport hospitality solutions around the world. Aerotel is its international airport transit hotel brand. Aerotel Cebu is the Plaza Premium Group’s 7th airport hotel opening after Singapore, Abu Dhabi, Muscat, Rio de Janeiro, Kuala Lumpur and Guangzhou. “We look forward to enhance the travel experience of the passengers with our service ethos of convenience, comfort, value and love and care when they travel through,” said Plaza Premium Group Founder and CEO Song Hoi-see. Aerotel Cebu has 9 Solo rooms, which measure 7.2 square meters, and 2 Double Plus rooms, which measure 9.6 square meters. All 11 rooms come with ensuite bathroom with hot showers and amenities, complimentary drinking water, towels, slippers, hairdryer, big-screen color TV with satellite TV and radio channels, complimentary Wi-Fi, centralized air-conditioning and complimentary coffee/tea making facilities. All rooms also come with a writing table and a USB charging port. AEROTEL CEBU. Rest and freshen up in Aerotel Cebu located in Terminal 2 of Mactan Cebu International Airport. For inquiries or reservations, contact: [email protected]. AEROTEL CEBU is located in Terminal 2 of the Mactan Cebu International Airport. AEROTEL CEBU has 11 rooms. WRITING TABLE with power outlets for charging all your devices. Freshen up by staying in Aerotel Cebu by the hour or availing yourself of a 1-hour walk-in shower for P500.